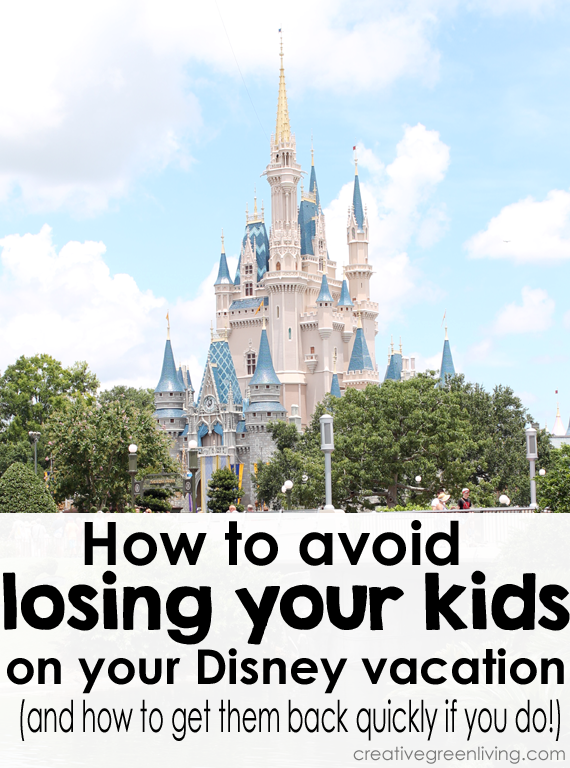 A lot of parents fail to prepare themselves or their kids for what to do if they get separated in busy or crowded areas like, say, Disney World. A lot of people think "I'm a good parent. I wouldn't lose my kid." The truth is, though, that no matter how good a parent you are, it's still possible to lose "become temporarily unsure of the exact location" of your child. When we were at Disney World last week, we lost track of our four year old for five of the longest minutes of my life. I am SO glad that we were prepared for this scenario - even though we do not have a history of losing him as it helped us get reunited with him quickly. 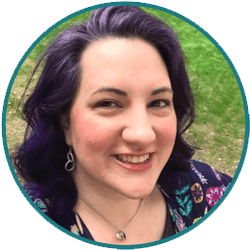 Here are my top tips that we generally use when visiting crowded places to avoid losing our kids and how we set ourselves up for success to get them back sooner if it does happen. Dress your child in bright colors or a with a unique set of mouse ears. You can also wear glow necklaces if it's dark. The idea is to make it so that they are easy to find by scanning a crowd. This is a great tip to avoid losing your spouse as well! 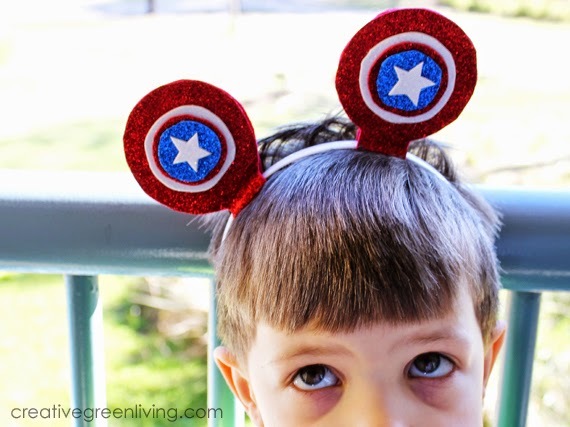 These awesome Captain America mouse ears are from SparkleEars.com and made it easy to spot my kid in a sea of people since nobody else had anything like them. Kids have a hard time holding hands 100% of the time. 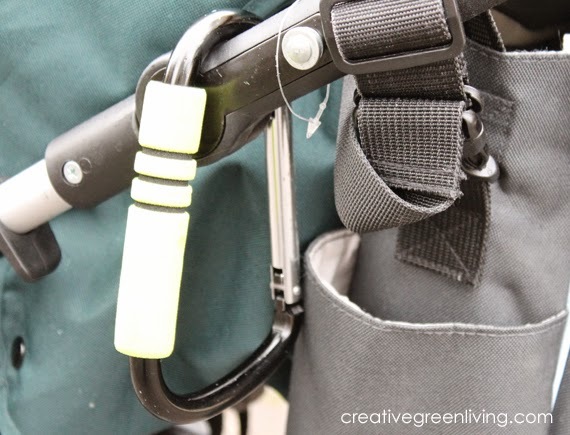 When our son gets tired of holding our hands, we let him hold onto a stroller clip that has a padded edge (it's actually designed to hold bags) OR onto the safety strap of our Bumbleride Indie 4 . A couple weeks before we left on our trip, we talked about what to do if you can't find mommy or daddy. Step 1: Call for us. We might be nearby and calling us will help us get you. Step 2: If you can't find us by calling, find a mommy with kids and ask her for help to call us on the phone. Did you notice we tell our kids to find another mommy instead of a staff member or police officer? It can be confusing to small kids to figure out who the authority figures are unless they are police officers in full-out uniforms. Finding just any grown up isn't always a wise choice - and statistics show that most abductors or people with bad intentions toward children are male. Finding a mommy with kids? That's almost always going to be both a safe person and a person who will have a compassionate interest in reuniting my child with me. We role played this scenario several times at home until we felt confident he knew what to do. Not going to Disney World? That's okay. Lost & Found Temporary Tattoos are an easy, temporary way to put your contact info on them. I like to apply the tattoos in a place where they are covered (like under their sleeve) so that someone only sees your contact info if your child chooses to show it to them. After we were reunited with our little wanderer, the Disney employee who found him said it was the best thing I could do for a quick reunion and that they wished every parent did this for their kids. Do you like this post? 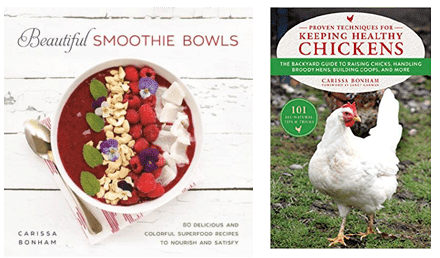 Consider subscribing to our newsletter! Gifted products disclosure: I was sent several complimentary pairs of mouse ears from Sparkle Ears in the hopes that if I liked them, I would wear them while at Disney World and they might show up in our photos from our trip. The ears are definitely unique and were a fun addition to what we wore (plus they made it easier to spot my child and husband!). Be sure to check them out for your own unique set of mouse ears if you will be heading on a Disney vacation any time soon! Great tips! And easy to implement! These are such great tips, I especially like the idea of finding a mommy and plan and practice. 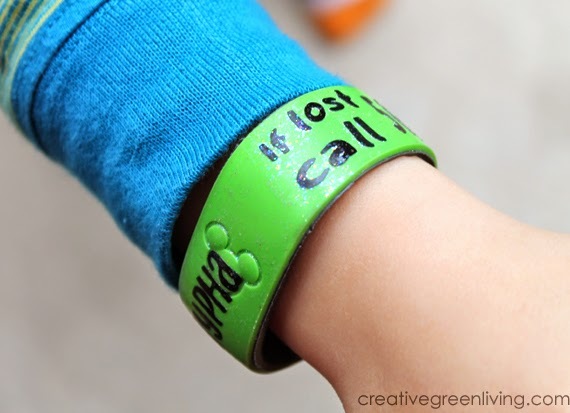 This is something that I should do with my sons anytime in case of getting of lost. Thanks! Great ideas! Love the magic band idea. These are great ideas. I have a wanderer. I always dress him in bright colors - usually tie dye. ;-) Last year, we visited Disneyland and we also invested in one of those light up necklaces, as you mention, to make it easy to find him. Worked like a charm. What great ideas. I have 5 children so it always worries me that this would happen anywhere with big crowds. Years ago I lost my son at Silver Dollar City. 30 minutes of the worst time in my life. I love your "Mommy" idea that is so smart. I always dress my kids brightly so I can easily find them. :) We'll be heading to Disney this summer and I still worry about losing my kids and they are 7 and 11. So many kids get lost at Disney World. I agree with all your tips ... I like the idea of tagging them and dressing them in clothing or items that stand out. These are great tips! I would always dress my boys in bright colors when we are out with crowds! Scary thought! I learned a lesson the year my son was Nemo for Halloween. A bright costume is an easy way to spot them! These are great tips. I used to always worry about this when my kids were little. We just went to Disney World a few months back. We saw that many family wore matching shirts, or labeled their child. Also, the staff was very friendly so I'm sure they would be more than happy to help a lost child. We found a small child, maybe four or five years old, wandering around a huge Macy's in DC. We took him to security, (he was on the escalator alone). Scary stuff. It IS important to have a plan in place. I love the temporary tats! I can't imagine what it would feel like losing a child in such a large place. I love the idea of practicing and the temporary tattoo is perfect. Yes, great tips and reminders! Definitely something to always be aware of and have a plan for just in case! Great tips. We are hoping to go to Disneyland soon. These are awesome tips... Losing a child is my biggest fear! One of the most terrifying moments of my life happened at disneyland when I thought my 3 yr old son was with my sister and my sister thought he was with me. I was screaming and crying and here came my little boy with my mom. These are some awesome tips. Thanks for sharing them. I have never been to Disney but I sure this will apply to any place that has a lot of people. Wow, what a scary thought. I have never had one of my kids wander off, but I have found children who were lost. Good info - I always am worried about being separated when at crowded events. We just got Disney passes so this is SO helpful for me. Thank you for the tips!